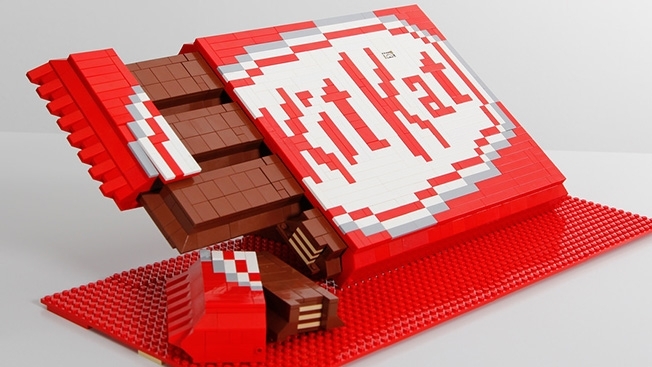 One would've never imagine a chocolate bar could be litigated over for many years, but the Kit Kat saga has proven that even the most seemingly mundane things can be worth a tremendous monetary investment. After the EU General Court decision last year (discussed more here) you could have imagined the matter has been largely concluded. This was clearly not the case, as Mondelez appealed the decision, which has now reached the desk of Advocate General Wathelet. They issued their opinion only last week, which will give direction to the CJEU who will decide the matter once and for all later this year. Although discussed extensively on this blog, the case still merits a short introduction. The matter Société des produits Nestlé v Mondelez UK Holdings & Services concerns the design of the Kit Kat chocolate bar, which Mondelez has registered as a trademark (EUTM 2632529). Cadbury, now Mondelez, filed for an application of invalidity regarding the mark sometime after, with the matter being decided by the General Court last year. Nestle appealed the decision (which went against them), ending up heading to the CJEU via the Advocate General. The case on appeal hinges on the extent of the territory that you need to show distinctive character that is acquired through use of the trade mark under Article 7(3) of the CTM Regulations. In the General Court Nestle failed to show use throughout the EU, not just in a substantial part of it, and therefore the mark was invalidated. Per the decision in August Storck KG v OHIM, the CJEU set the bar for the acquisition of distinctive character through use as requiring "…evidence… that [the mark] has acquired, through the use which has been made of it, distinctive character in the part of the [EU] in which it did not, ab initio, have such character". Adding to this, the CJEU noted that an argument for acquired distinctiveness could be rejected if there is no evidence of use, as detailed above, in a single Member State. Subsequent cases have shown that partial acquisition of distinctive character within the EU is not enough, as there needs to be 'quantitatively sufficient evidence' of acquired distinctiveness. Looking at the above, the AG did, however, not shut the door entirely on partial acquisition of distinctiveness. They added that a mark could have acquired distinctiveness in the entire EU if evidence is provided for "…a quantitatively and geographically representative sample" of the EU. This means taking into account the various links between the national markets of Member States, and whether those links negate a lack of evidence for acquired distinctiveness in the bigger picture within Europe. Potentially a more regional approach has to be taken and therefore acquired distinctiveness could be extrapolated for any missing countries, i.e. produce evidence for the Nordics and other such 'collectives' of countries if evidence for all Member States is missing for others within those 'collectives'. Having considered the missing evidence discussed in the General Court's decision, the AG concluded that Nestle's appeal should be dismissed. While we are still awaiting the CJEU's decision on this matter, things don't look great for Nestle, or 3D marks in general. It will be difficult for many proprietors of such marks to show acquired distinctiveness within the EU, or most of it. It remains to be seen whether the CJEU will go in a different direction, but it seems very unlikely considering the General Court's decision and now the AG's opinion.